As a devotee of literary history, I'm a big fan of Stratford-upon-Avon, an English national treasure. And while a lot stays the same in this iconic town, you can always find new reasons to visit. The guidebooks will readily tell you the most popular tourist attractions but what about Stratford's lesser-known gems? I'd love to share a few of my favourites, from my recent visit. 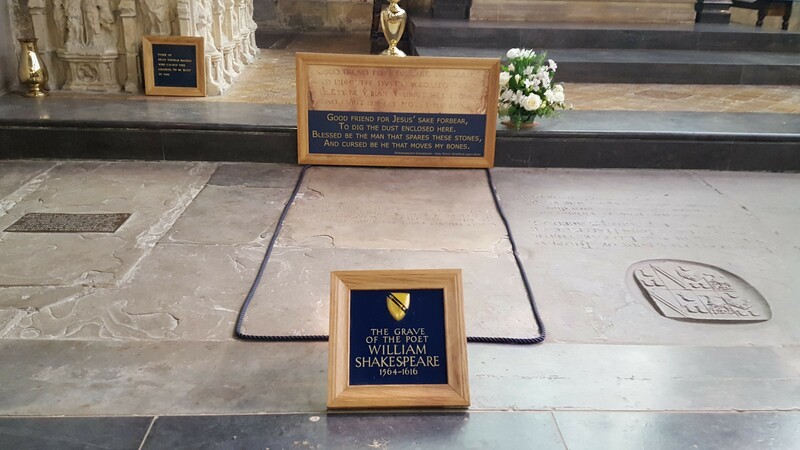 Shakespeare's home town is one of the most comfortably walkable in England; well paved, pedestrian-friendly and flat. A stroll around town is glorious on a sunny day but the weather is unpredictable, so bring your Mac and venture out, regardless . For me, the Church of the Holy Trinity is a place of pilgrimage and at an easy five-minute walk from the town centre, it would be a shame not to include it in your Shakespeare itinerary. You will be awed by the 17th Century grave of William Shakespeare and his monument, both of which have pride of place in The Sanctuary. Remarkable stuff for only the price of a gold coin donation to enter. 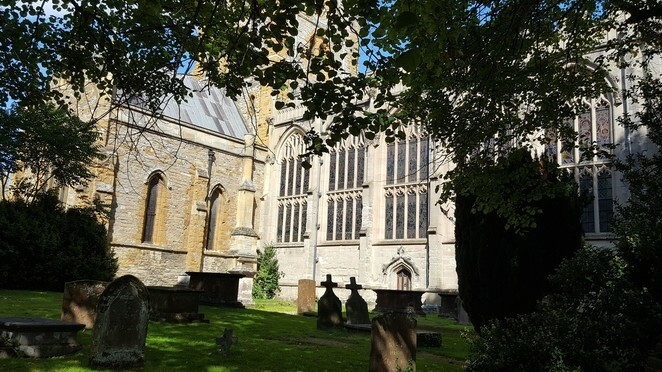 Step outside the church, which has documented origins as far back as AD845 and you will be enchanted by the lusciously green and well-preserved graveyard, nestled on the banks of the Avon River. It is worth a stroll, wiling away your day in this incredibly peaceful setting. And if you can pull yourself away, follow the path of the river back to the tourist hotspots, admiring the picturesque views of pristine parklands and well-preserved historical architecture. It is relaxing beyond belief. Not in The Mood for Shakespeare? 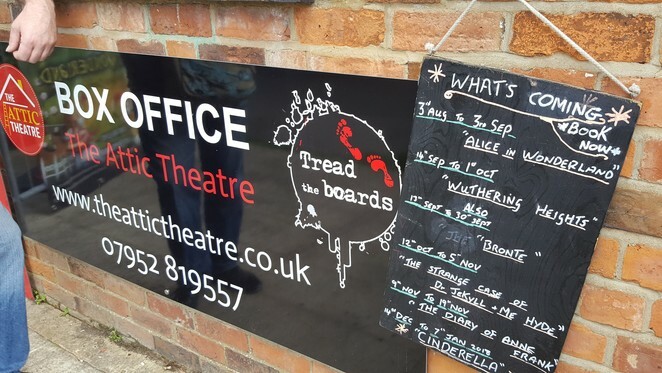 While catching a play by the iconic Royal Shakespeare Company (RSC) is a major drawcard for most, it may not appeal to others, especially if you are travelling with kids. If this sounds like your family, I've got a couple of other gems to suggest, which still capitalise on Stratford's rich theatrical culture. On a visit to the riverside watering hole Cox's Yard, I came across the Box Office for the charmingly intimate Attic Theatre and couldn't resist buying a ticket to the matinee performance of Alice in Wonderland. It's not quite the lofty heights of Shakespeare but a classic all the same and a Fringe Award-winner to boot. With limited floor space to enact Lewis Carroll's fantasy world, I was impressed by the production's adept use of staging and props and the cast's multitasking talents. 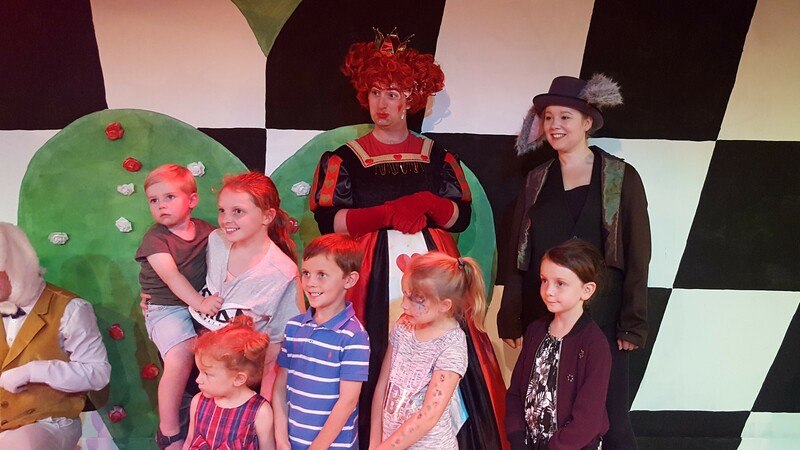 With brilliant characterisations of Alice, the Queen of Hearts, the Mad Hatter and the March Hare, Alice was a family crowd-pleaser and a great testimony to the company in residence, Tread the Boards. And if you missed this school holiday production, not to worry. The Attic Theatre is currently playing host to a literary fest with dual-running productions of Bronte and Wuthering Heights (15 Sep – 1 Oct). Too good! I promised you a recommendation for the kids, didn't I? 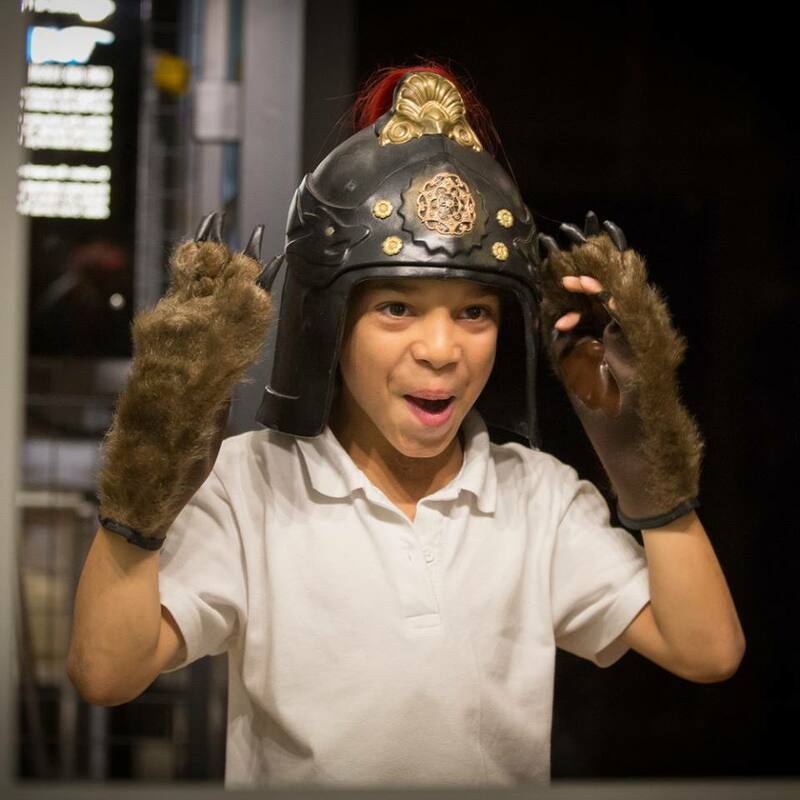 Well, I would argue that it is never too early to inspire a love of history, culture and theatre in children and the RSC has come up with a brilliant solution. 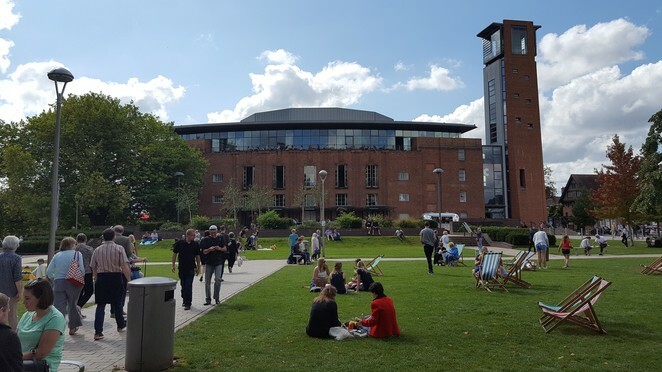 Borrowing from a famous Hamlet quote, the Royal Shakespeare Company HQ has introduced a permanent exhibition marketed at younger visitors, The Play's The Thing. It boasts an interactive journey through 100-years of theatre-making history, with a Magic Costume Mirror, a Secrets and Stories tribute to the Bard and a Rarely Seen Collection of treasures from behind the scenes of England's most prestigious theatre company. 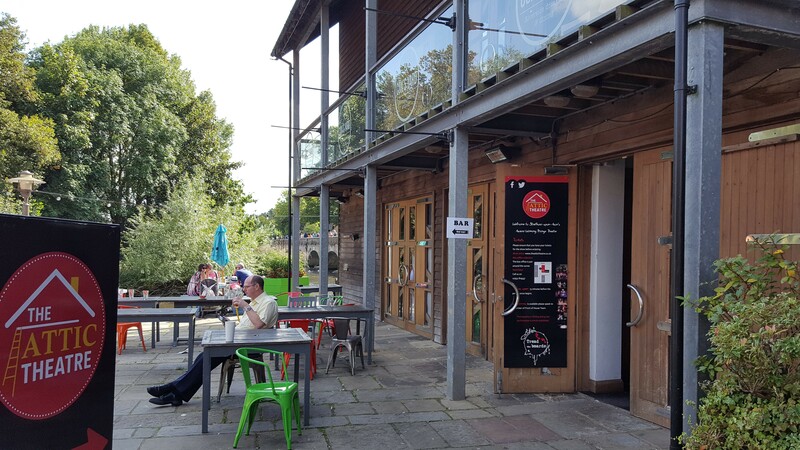 With admission bonuses such as kids under five for free, extending to all kids on Sundays and in Warwickshire school holidays, this is a big plus for parent-tourists, who may have otherwise overlooked Stratford. Have I convinced you to consider Stratford-upon-Avon for your next weekend away, or school holiday day-trip? As well-worth a visit as its heritage sites are, there is far more to the town than meets the eye. I would argue that it has something to suit everyone's taste, if you dare to venture off the beaten path. What hidden gems have you discovered in this historic hamlet? I would genuinely love to hear. I'm planning my next visit as we speak.